Constable Cindi Pepper is urging a teenage girl to let go of her inhibitions and level a punch at her teacher. “Whatever you’re angry with, or upset about, put it in that big ‘R’,” the 32 Division School Resource Officer (SRO) instructs a girl swinging hooks into the focus pads of the outstretched arms of teacher Katy Whitfield. 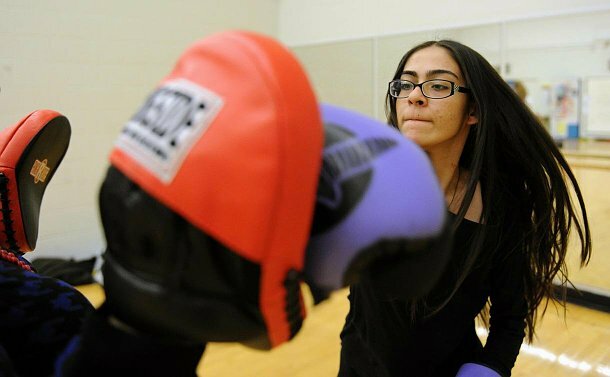 It’s another Monday afternoon for the Northview Heights Secondary School Girls Boxing Club, an informal collective where Pepper teams up with teachers to lead girls in boxing techniques in the school’s dance studio. Pepper was introduced to boxing a few years ago by her husband, Parker, who was a competitive boxer, as a fun way to stay in shape together. 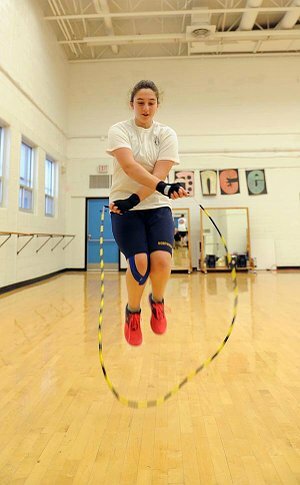 “I found it to be a great workout but also a great stress reliever,” says Pepper, who immediately thought to share the sport with the students she sees every day as an SRO for Northview Heights and Newtonbrook Secondary schools. SROs work out of schools to prevent crime and steer kids on the right path, but also to intervene if a criminal issue arises. She gathered some of her own equipment and got the go-ahead for round one from then-vice principal Lindsay McWaters to start the club in 2014. She’s since got funding to buy more equipment and benefited from donations. In a school of 1,750 students, from 80 countries, there are many varying interests as to what they want to do in their spare time. Staff advisors Teacher Susan Kowalchuk and Child and Youth Worker Kristy Korakas are there to work on technique and motivate the girls each week. Korakas says Pepper has a lot of credibility among the students because she takes time to listen. 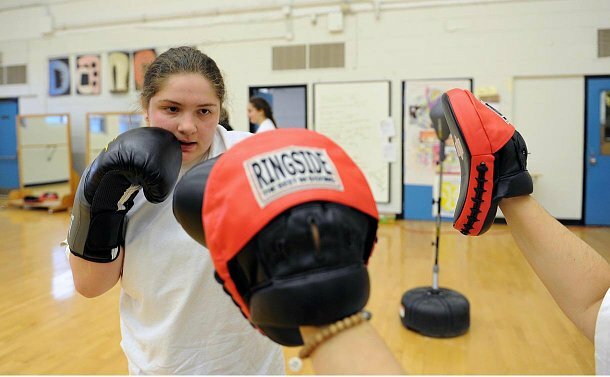 Sydnie Linardatos and twin sister Alexie, 14, are among the regulars each week rotating among jabs, crosses and upper-cuts and bag work.